The busy summer season is over (at least during the week). Weekends are busy with picnickers, campers and anglers of all ages. Come early in the day to ensure that you get a boat. There is plenty of shoreline available for relaxing and coaxing in the remaining catfish. Fresh mackerel seems to be the best bait right now, and Tong Nguyen is a great example of this. He pulled in a 23 pound Channel Catfish on September 7 from the South Shoreline, using fresh mackerel. Great job, Tong! Please keep in mind that we have a new bass limit. Catch is reduced to only 2 bass in possession over 12 inches. Violations of these new rules (EMC 18-111) will result in confiscation of fish, ejection from the park for 72 hours, and a citation to appear in court. Rangers are available to answer questions, provide advice, and to monitor angler activity. Persistence pays off at this lake. As always, to preserve the bass population, always capture the photo and then practice catch and release. For you jig chucker's....try any thing that matches the bait which resembles a small silver minnow or a small rainbow trout jig for the bigger bass. Bass limits have changed to only 2 bass over 12" inches. Please spread the word as new signs are in place to reflect this important change. Any questions should be brought to the Ranger staff. 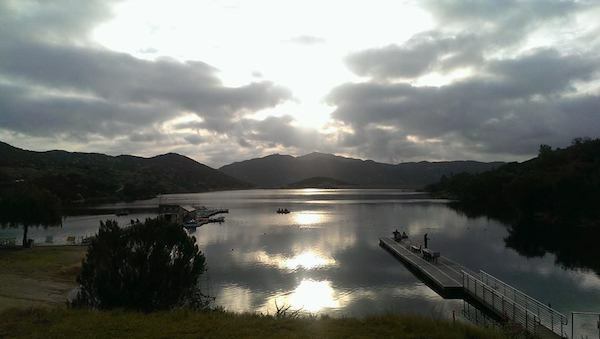 For more rules and regulations on fishing, please call the Dixon Lake Ranger Station. A NEW LAKE RECORD.... from our last year derby grand prize winner and a lake record was broken by Don Stephensen (long time angler) who pulled in a 16.82 pound Tailwalker rainbow trout while only using 4 pound test fishing line. The fish battled for 20 minutes before finally coming ashore. Don was using a "green smoking worm jig" between Pier #2 and Trout cove shoreline. Don didn't give much time for the ink to dry as Steve Capps's name was only there for less than 6 weeks. It the third trout this season to be over the 16 pound mark. Check out our website for these wall of fame photos and other fish photos. Dixon Lake staff encourages anglers who qualify to take advantage of “Senior/Military Wednesdays.” Senior citizens 60 and better and military personnel are eligible to rent an all-day motor boat for $18, or an all-day row boat for $12 Permits are $7.00 for adults and $5.00 for seniors over 60 and youths between the ages of 8-15 years old. For more information on park rules, future stocking schedules, and other information, please call the Dixon Lake Ranger station at 760-839-4680, or visit http://www.dixonlake.com.